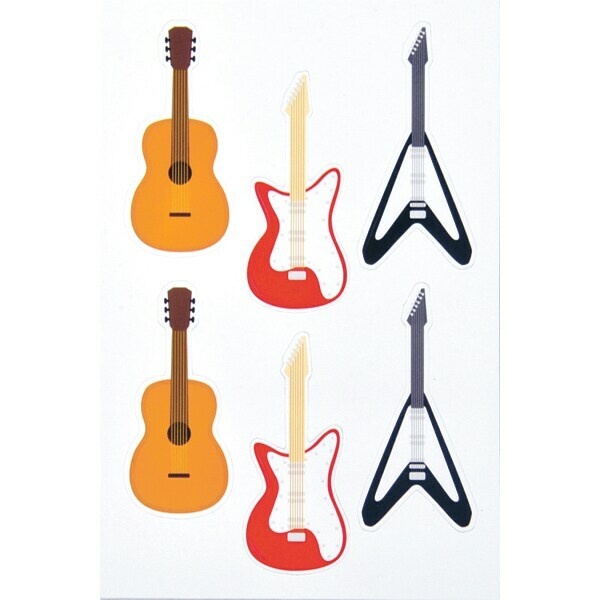 Bring a little rock 'n' roll to your fridge or filing cabinet with these durable, colorful vinyl magnets. The set includes six guitars—two each of an acoustic guitar, an electric lead guitar, and a classic "flying V" style—measuring between 2¼ and 2½ inches long. Screaming fans not included.